In 1925 and 1926, Chen Ziying (陈子英;1896-1966) visited MBL. Chen had studied at Peking University with Morgan’s student, Alice M. Boring, and went to Columbia University to study with Morgan in 1922. 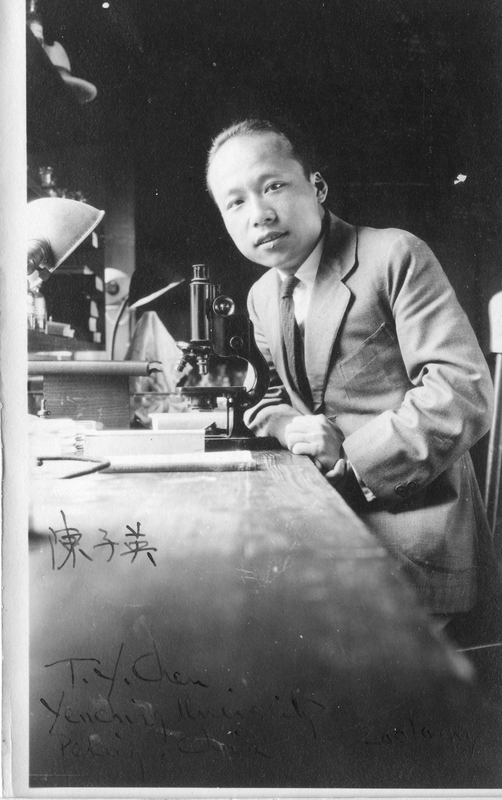 Chen studied the differences in developmental processes between wild-type fruit flies and mutants, obtaining his PhD in 1926. Upon his return to China, Chen became an advocate of Chinese marine science and agriculture, conducting extensive surveys of the fishery industry in Fujian province and proposing to building China’s own marine biological laboratory. Chen eventually built a program of marine biology at Xiamen University, in Fujian, and founded the Chinese Association of Fisheries.